The Monastery of St. Catherine in Egypt’s Sinai is a wonderful place to visit, interesting in every respect, but it is not famous throughout the world simply for its facilities nestled up against the foot of Mount Sinai. The monastery has one of the largest collections of ancient illuminated manuscripts in the world, as well as one of the most important collections of icons. The oldest known icon of Christ Pantocrator, encaustic on panel. The two different facial expressions on either side may emphasize Christ’s two natures as fully God and fully human. The word Pantocrator is of Greek origin meaning “ruler of all”. Christ Pantocrator is an icon of Christ represented full or half-length and full-faced. He holds the book of the Gospels in his left hand and blesses with his right hand. The icon portrays Christ as the Righteous Judge and the Lover of Mankind, both at the same time. The Gospel is the book by which we are judged, and the blessing proclaims God’s loving kindness toward us, showing us that he is giving us his forgiveness. Although ruler of all, Christ is not pictured with a crown or scepter as other kings of this world. The large open eyes look directly into the soul of the viewer. The high curved forehead shows wisdom. The long slender nose is a look of nobility, the small closed mouth, the silence of contemplation. This is an early type of the Christ Pantocrator. Wearing a tunic (chiton) and a draped outer garment (himation). The eyes are not alike in size and shape, the mouth is asymmetrical with a melancholy expression, the rather short beard has an inward curve and the hair falls back over the left shoulder. The exceptionally high quality of the painted icon suggests that it must have been the product of a Constantinopolitan atelier in Justinian’s age. This may be further confirmed by the fact that the iconographical type it represents was created at the time when Justinian was emperor, although we cannot be absolutely certain about that. It should be remembered at this point that the Monastery of St. Catherine had been founded by Justinian and that the emperor had presumably sent various gifts to the Monastery, including perhaps this very icon. What was Jesus mission on Earth according to the Bible? Why is Lourdes a place of pilgrimage and why YOU should go there! What does the Last Supper Story tell us? What happens if you drink Holy Water? And how to use it properly with faith! Where is Medjugorje located and why it is so beautiful there? Here’s why. 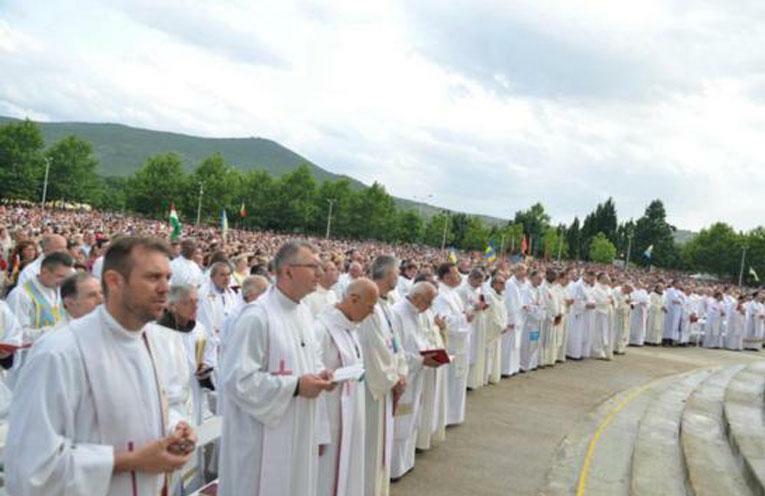 What and where are the most important Prayer Areas in Medjugorje Bosnia and Herzegovina? Fatima visionaries – Who where the three Children of Fatima? What and where is Madonnina? Eucharistic adoration – What is Perpetual Adoration of the blessed sacrament? What is St Bernadette the Patron saint of? How does the Candlelight Procession at Fatima Portugal looks like? See it here!